PATEK PHILIPPE CHRONOMETRO GONDOLO PINK GOLD Patek, Philippe & Cie., Genève, “Chronometro Gondolo,”. Made for Gondolo & Labouriau, Relojoeiros, Rio de Janeiro, circa 1913. Very fine, large, 18K pink gold keyless pocket watch. 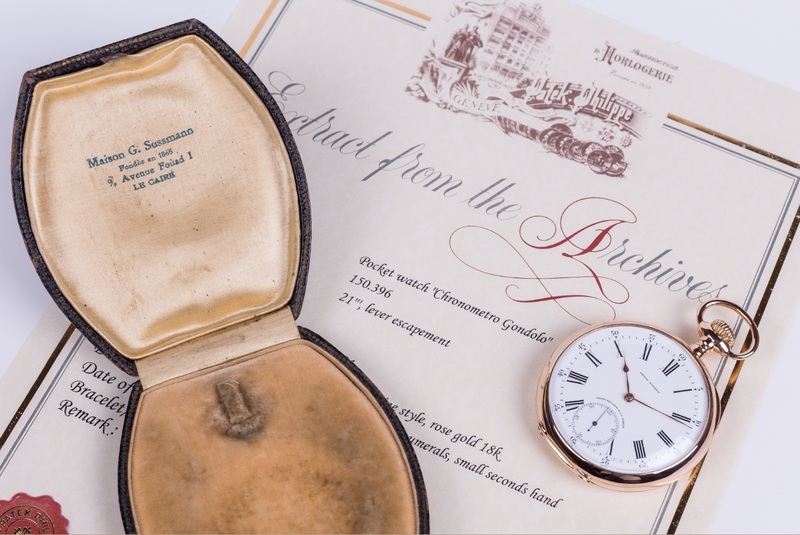 Accompanied by an Extract from the Archives, vintage box and Atelier Tempus certificate, 1-year warranty and wooden box. Patek Philippe Extract from the Archives confirming production of the present watch in 1913 and its subsequent sale on December, 1920. 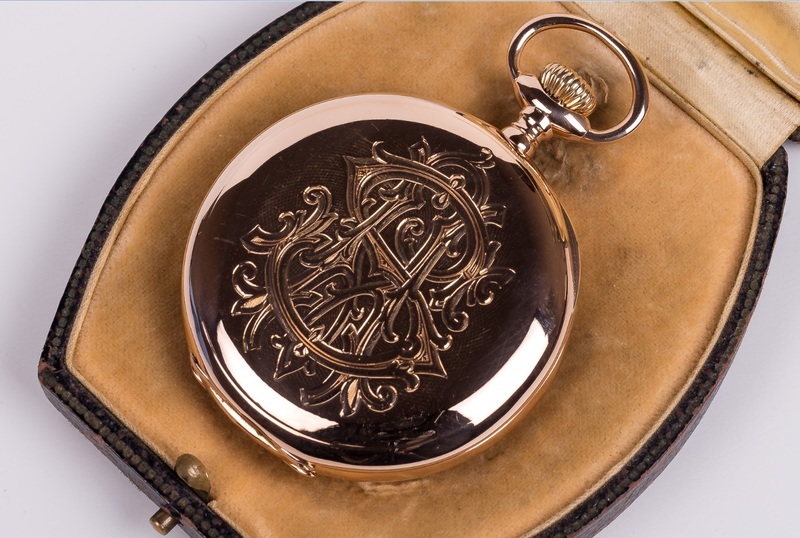 Case: Four-body, “bassine”, polished, engine-turned back centered by a blank cartouche. Engraved hinged gold cuvette. Dial: White enamel with radial Roman numerals, outer minute track with black arabic 5 minute markers, sunk subsidiary seconds. Blued steel spade hands. 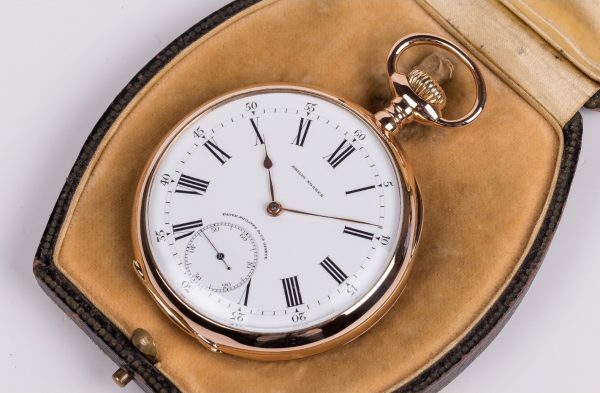 Movement: Calibre 18”, gold wheels, 21 jewels, wolf`s tooth winding, gold wheel train, straight line “moustache” lever escapement, cut bimetallic compensation balance with blued steel Breguet balance spring, Wilmot`s patented micrometric cam regulator. Dial, case, cuvette and movement signed, cuvette also signed by the retailer.